Irving Hughes was a San Diego commercial realestate firm which solely tenant representation. 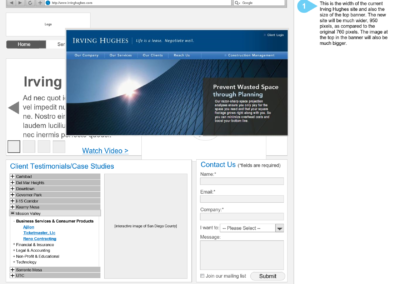 Irving Hughes came to Business On Line with a website redesign need. 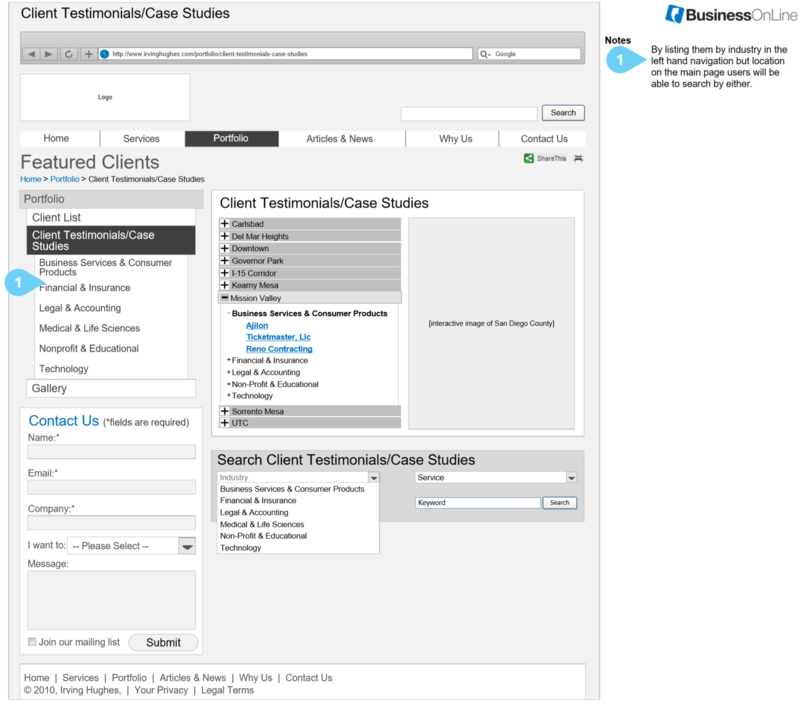 Their existing site was scaled for a much smaller screen and was lacking a strong message to bring in clients. 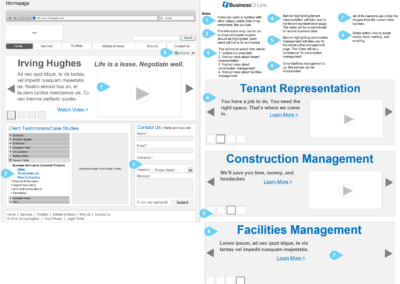 I peformed a competitive analysis and built a wireframed site for them. 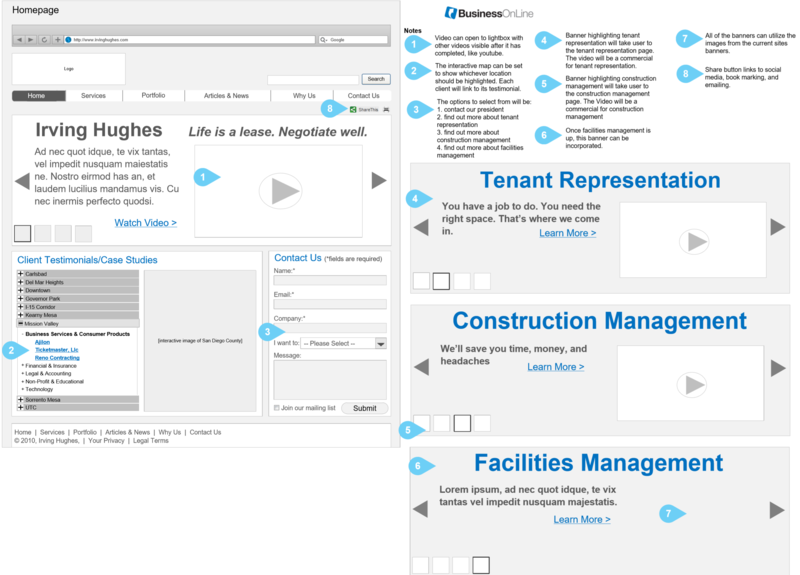 I wireframed a functional, adaptive site for them using a sitemap, 12 page wireframe, and a competitive analysis against six of their competitors. The new designes were much more user friendly. I avoided large text blocks, utilized segmentation functionality, and increased the visibility of their primary call-to-actions. 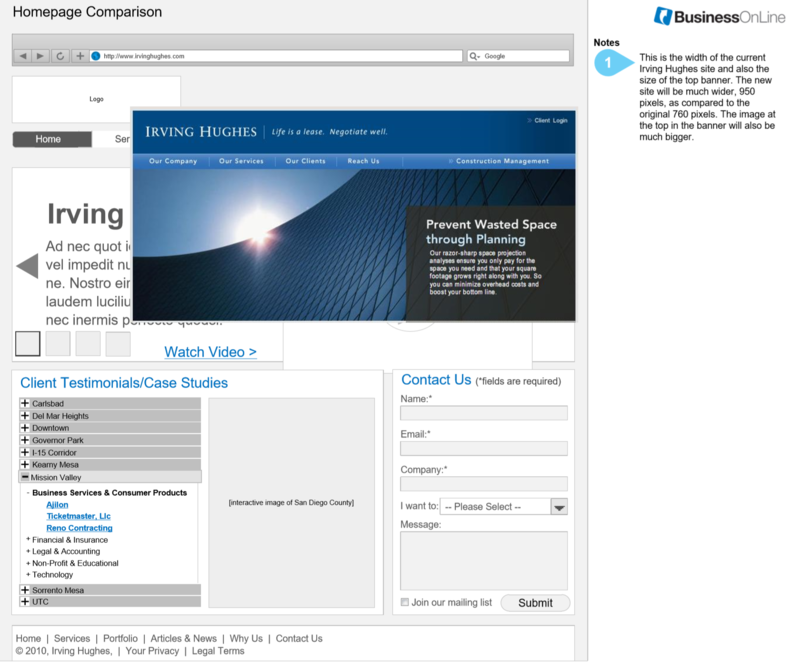 Their original site was much smaller and really lacked a driving message to bring users to their goal. The new homepage was designed to help potential customers sign up, see what the company had to offer, and featured an interactive map to see where they do business. 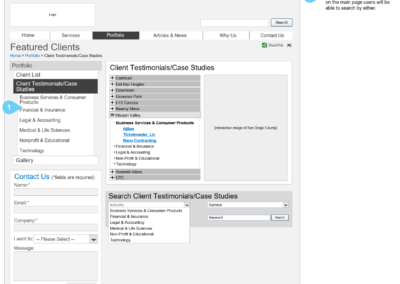 The featured clients section utilized a dropdown with several case studies. 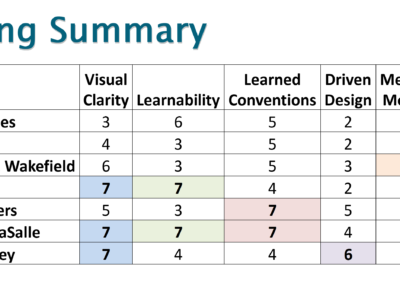 The competitive Analysis analyzed six competitors on a variety of metrics to see how others in the realestate space utilize their website.